This is the second part of a three-part article about improving hand washing in schools. 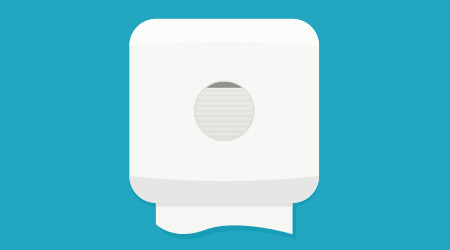 Promote Easy Access to Clean Hands: Full dispensers of soap, the availability of warm water, and adequate dryers or paper towel supplies make it easier for students to clean their hands. Make sure the staff combats any issues that prevent easy access to good hand washing. Put the Spotlight on Hand Washing: Make sure every restroom has signs encouraging students to wash up. Stay on top of Health and Hygiene Issues: Make sure the custodial staff is up-to-speed on cleaning and disinfecting ‘best practices’ that will ensure a healthy environment. Be a Hand Washing Hero: Be willing to take part in hand washing demonstrations in a health class or at a school assembly. Demonstrate first-hand how it’s done. What is the proper way to wash hands? • Wet hands with clean, running water (warm or cold) and apply soap. • Rub hands together to make a lather and scrub them well; be sure to scrub the backs of hands, between fingers, and under nails. • Continue rubbing hands together for at least 20 seconds. A good rule of thumb is to teach people to hum the “Happy Birthday” song from beginning to end, twice. • Rinse hands well under running water. • Dry hands completely using a clean towel or air dryer. What if soap and clean, running water are not available? Washing hands with soap and water is the best way to reduce germs. In areas where they are not available, the custodial department should provide an alcohol-based hand sanitizer that contains at least 60 percent alcohol. The CDC recommends users apply sanitizers to the palm of one hand and then rub hands together for at least 30 seconds, or until hands and fingers are dry. Alcohol-based hand sanitizers will not eliminate all types of germs, but they can quickly reduce the number of germs on hands in some situations. Building occupants should also be educated on the fact that hand sanitizers are not as effective when hands are visibly dirty or greasy. Countless studies support the improvement of hand hygiene programs and experts agree that strong hand hygiene is the best defense against the spread of infections. Unfortunately this is a message that’s difficult to promote to students. Getting children to wash hands effectively — or to apply hand sanitizer — is an ongoing initiative for custodial executives, and it is a strategy worth supporting. By supplying proper products and educating occupants on the benefits of proper hand washing, the custodial department is preventing the spread of infection and improving the health of those within the school.